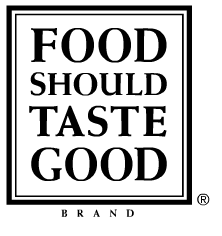 CEO and founder Pete Lescoe created Food Should Taste Good, Inc in 2006 with the goal of making a unique new snack with great taste, healthy ingredients, and sophisticated flavor - the qualities he is most passionate about in food. Based in Needham Heights, Massachusetts, Food Should Taste Good, Inc is a small company and growing fast. and the dippability of a tortilla chip. The wholesome goodness of these snacks combined with the ridiculously yummy flavor options makes for one great snacking experience. You have to try them to really understand. I would highly recommend giving Food Should Taste Good chips a try....I'm confident you won't be disappointed! These chips would make a great snack for the kids lunchboxes as they head back to school.....they'll thank you for sure! 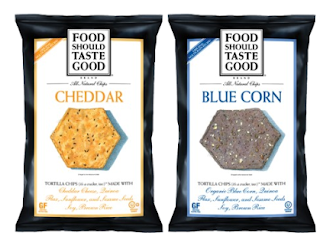 Thanks to the generosity of Food Should Taste Good, 1 Lucky reader will received a case of assorted Food Should Taste Good Chips! Leave a comment~ which flavor of Food Should Taste Good Chips are you most interested in trying?